One of the main guiding principles of the when-which-how practice is that the trunk line (core focus) of one’s life experience is living from the heart. The gravitational core of our highest purpose is like radiating magnetism, attracting into our life the purpose for which we incarnated. For example, if your spiritual studies arise from the trunk line of the when-which-how practice (living from the heart), a magnetic field is created that attracts spiritual studies that are aligned to your fundamental core practice. 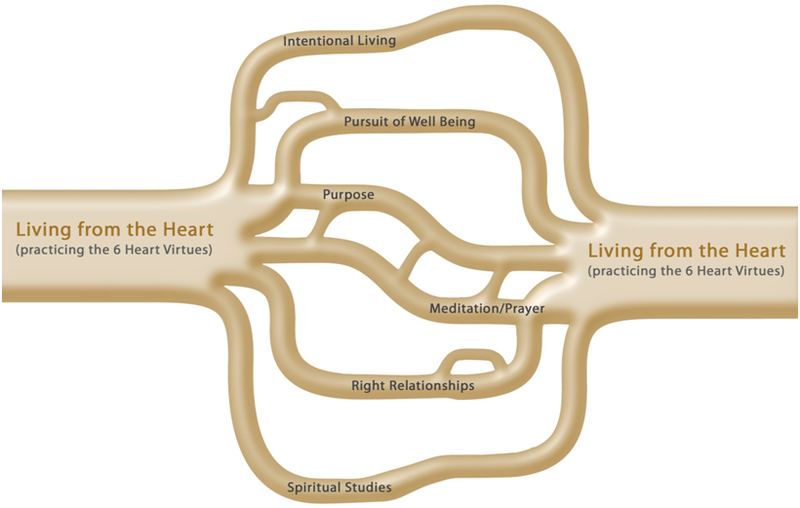 Thus, when you pursue your spiritual studies they are woven back into the trunk line in terms of their relevance and usefulness to living from the heart. They are self-reinforcing and resonant with the trunk line, and, to the degree they are not, your powers of discrimination are activated to resolve this lack of resonance. Many people have different trunk lines like expression of my purpose or the pursuit of well-being. These are not bad choices, but it is important to understand that they create a different gravitational core or resonant field in one’s life, which in turn, attracts a different system of energetic branches. The branches arising from the trunk line related to living from the heart evolve in alignment and resonance to the trunk line. The learning gained in the pursuit of one of the branches will return to the trunk line and support and nourish it. Like all trunk lines it is self-reinforcing, whether it is selfish in nature or altruistic. In your daily life as you encounter an event, problem or goal—or perhaps have an inspiration or new relationship—you can apply the when-which-how practice to these encounters and orchestrate your encounter from this perspective. 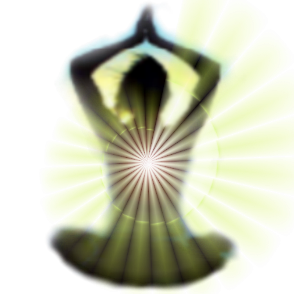 Remember that within every encounter there are different dimensions of energy: physical, emotional, mental and spiritual. The complexity is quite daunting if you think about it, but the practice, as said before, is not judged by its perfect expression, or its analytic virtuosity, but is performed and guided by intent. The areas in which we focus in our everyday life shift between events, inspirations, relationships, goals, and problems, and within each of these encounters we have multiple playing fields from an energetic perspective (i.e., physical, emotional, mental, spiritual). When you express one or more of the heart virtues into an encounter you can then observe its influence on the event or participants therein. The observation can then guide your follow-on expression, its intensity, to whom it is directed, and its duration. This cycle of expression and observation enables a more fine-grained expression, and it is this adjustment that leads you forward on the path to emotional self-mastery.